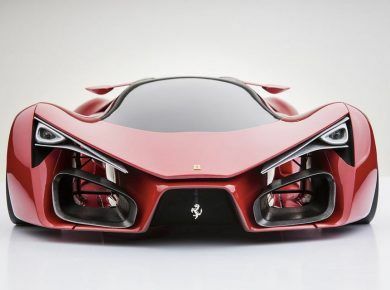 Ferrari and family are two words that don’t always intersect but recently Ferrari has officially revealed a new supercar, codenamed FF which means Ferrari Four, which is certainly fun for the whole family. The 2012 Ferrari FF Concept is a four-seater capable of a 208 mph top speed on the open road. The front half of the car looks like a Ferrari, but the back end looks like a Subaru. The new 2012 Ferrari FF features a whole host of new technologies to compliment the raw power within. The FF will make its auto show debut at the Geneva Motor Show. If you want you can check more new concept cars: 15 Best Concept Cars of Largest Automakers. How much for this car? This was the first time I have seen a Ferrari with so much details. 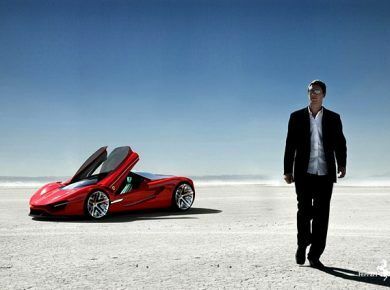 Now I came to know that why it is called the super car. What perfection? This Ferrari makes the Chrysler Crossfire look good. And that car looked like a dog hunched over, taking a poo. in another star system with a different purr !